The Islamic culture that developed in the ninth and tenth century in what is now Eastern Iran was to have a significant impact on most Muslims of west, south, and central Asia. Under the patronage of Persianized Turkic Muslim rulers, the culture spread westward to the Mediterranean and eastward to India. Especially in the early centuries of Islam, Turko-Persia represented a distinctive variant of Islamic life and thought in these regions, particularly among the elite. But after the fifteenth century regional variants started to emerge. In this volume, the contributors write about different aspects of Turko-Persian culture. The work consists of an historical survey of the culture, a chronology of major developments in the region from the rise of the Persian empire before Islam up to the present, and six chapters by eminent authorities on the region. 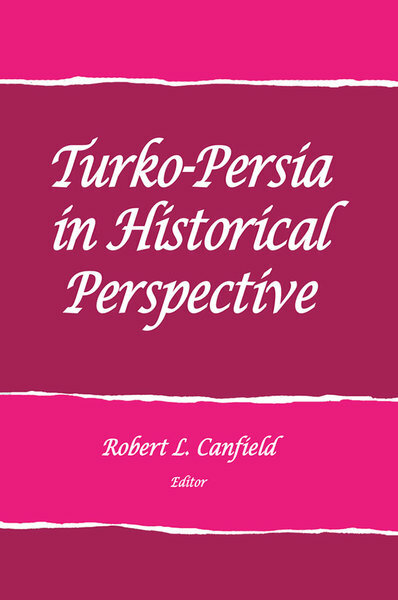 These focus on three themes in Turko-Persian culture: the importance of literature, the tension between central and peripheral institutions in Turko-Persian societies, and the confrontation of the Turko-Persian Islamicate world with the European world. As the first book-length study to examine Turko-Persian culture as an entity, the volume should stimulate further research into this tradition.